Simon Bovey, far left, will step into the role of Northampton Borough Council's interim chief executive next week. Northamptonshire councillors have reacted to the announced selection for a placeholder chief for Northampton Borough Council. An extraordinary meeting of the full council has been called for next to ratify the appointment of Simon Bovey as the borough's new interim chief executive. It comes after the resignation of David Kennedy in July, who was widely criticised over his handling of the £10.2million Sixfields loan. Mr Bovey is currently the deputy chief executive of Daventry District Council (DDC) and will fill the new role for Northampton for six months. Leader of Daventry District Council Chris Millar said: "Simon has a very good track record after years as deputy chief executive of DDC. We're delighted for him. We don't want to lose him but it will be a great step in his career. "I like to think this will lead to him one day becoming a chief executive on a permanent basis." Mr Bovey's track record for Daventry District Council includes filling the shoes of head of planning, managing director and its monitoring officer. 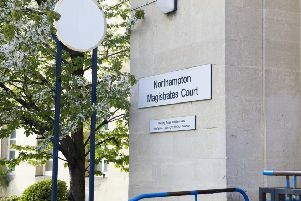 During Mr Bovey's time as managing director of DDC In 2010, the council lost a high court battle with Daventry District Housing to recover £2.4million following a handover of council houses. The court case cost the council £425,000, largely paid out of a reserve pot. The council later won on appeal. Mr Bovey's temporary departure from DDC comes as Daventry prepares for the final planning stages of a controversial £8m canal arm next to the town's reservoir. Ward councillor for Drayton Wendy Randall said: "I was surprised that he was appointed at a very important time for Daventry District Council. Obviously, officers have been deciding on the canal arm that could put Daventry on the map. "I wish him every success." He is chairman of the Society of Local Authority Chief Executives and senior managers (SOLACE) East Midlands and, more locally, chairman of the Northamptonshire Local Nature Partnership and Northamptonshire Chief Planning Officers Group. The extraordinary full council meeting will take place at 6.30pm on Thursday, August 17, following, which Bovey will take up his secondment from early September.